This time of year there's a lot of discussion in our family about food. What we'll eat, where we'll eat, where we'll shop for food. I think it's because we have the time during the holidays and of course, our love for good food. After a long walk on the beach we came home to a bowl of French Onion Soup. 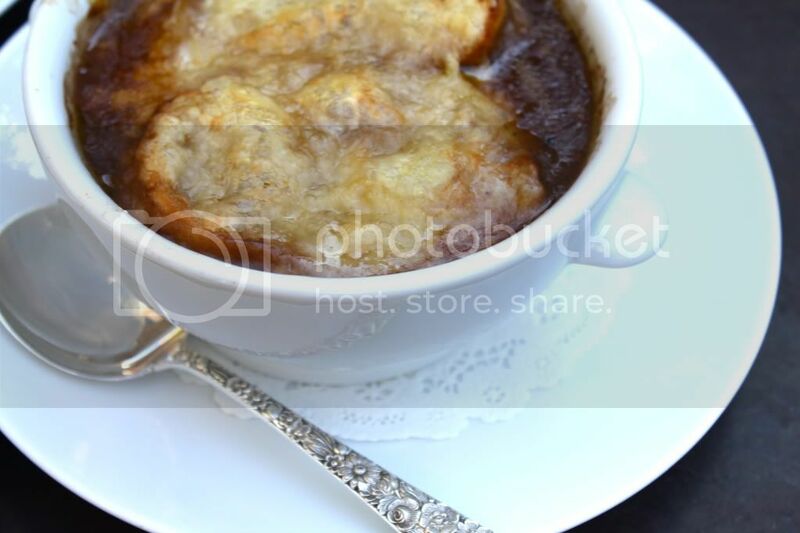 The only way to make French Onion Soup is Julia Child's way. Sure the recipe may include 26 steps, but it's worth every step...and #26 is simply...Bon Apetit! 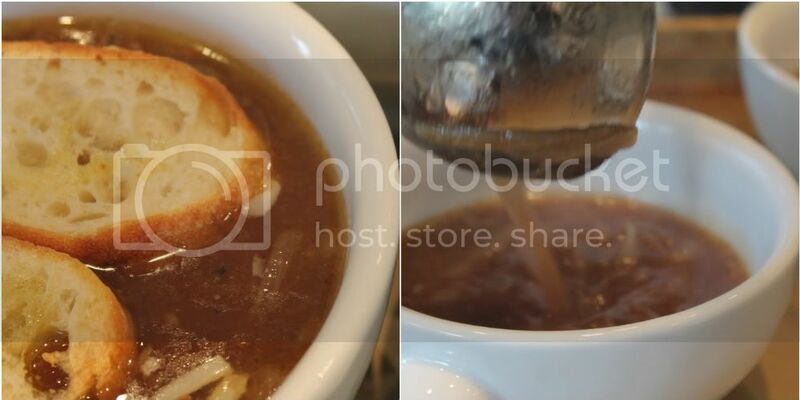 French Onion Soup gives off the most amazing aroma in the kitchen...there's no need to shop at a special market (which I actually love doing), but not necessary for this recipe. This soup will satisfy the taste buds and the soul...it's that good...and the ingredients probably cost less than $5. How many amazing things can you make that you can say all this about? Will you be cooking on this New Year's Eve or you going out someplace fun? My BFF and I shared a bowl of French onion soup on Christmas eve at Clyde's in Georgetown. It was so good , maybe they use Julia's recipe;) I will be putting this in our dinner rotation next week. Thanks for sharing. Happy New Year!!! oh yum.... I can almost smell it from here! This is one of my favorite things in the world. And you make it looks a good as I know it tastes with your beautiful photographs! Julia Child made so many wonderful dishes. I will have to try this one as it looks heavenly. I agree, the aroma of French onion soup is amazing. We will be enjoying a night at home, cooking and relaxing. Happy New Year to you Annie! You make everything look so pretty and delectable! I would love a bowl right now. Love your photography. My favorite photo is the last one with the cute spoon and even a doily. Very French! We had lots of discussion about food too! We bought so much to have around for everybody being home together, that I have to admit except for the big days I have had quite a break from cooking like I usually do. We have just been putting things together here and there. 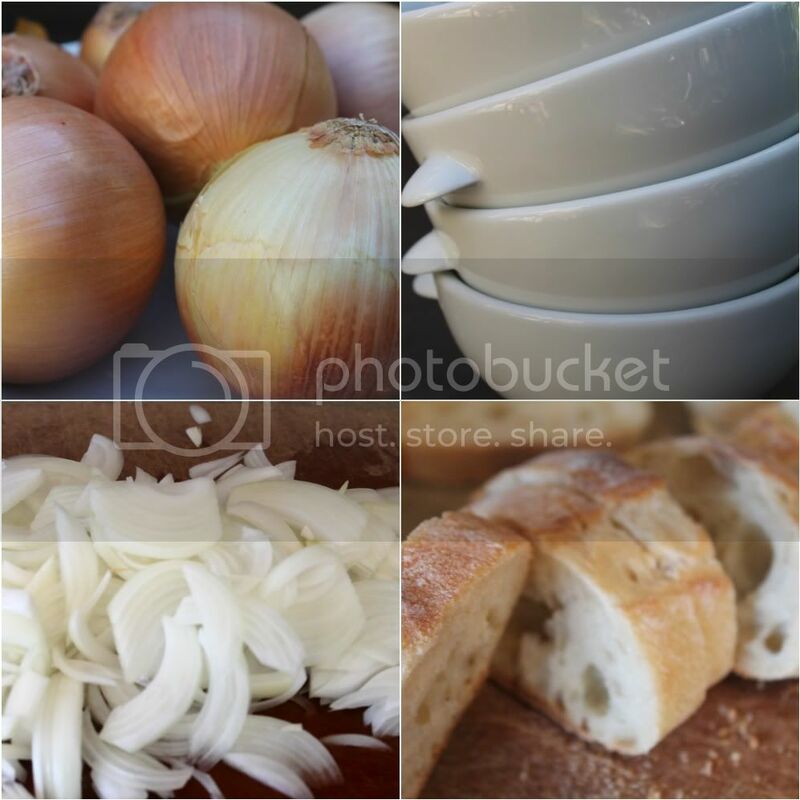 I haven't made french onion soup in what seems like forever, and with your lovely photos to spur me on - maybe I will get to it. Just had to say I saw your fabulous designs on the Circa lighting blog...so cool!!! French onion soup is my favorite. Have to try yours. 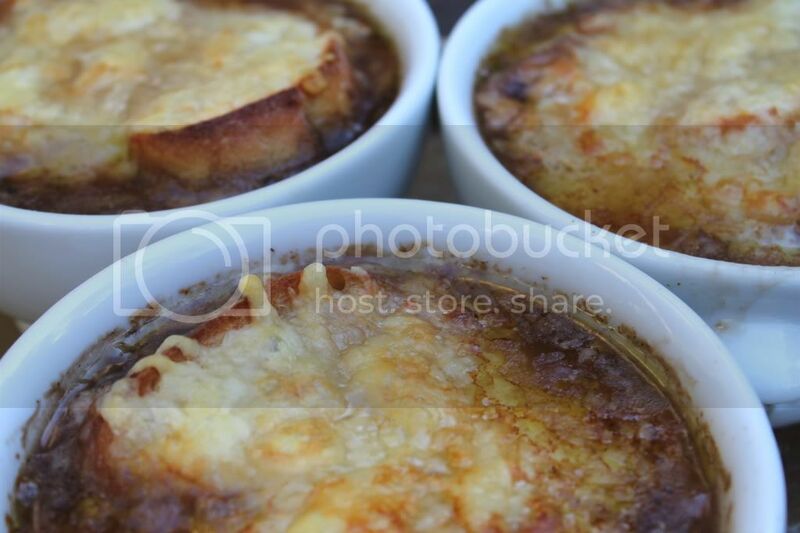 Your French Onion Soup looks absolutely yummy. It's one of my favorite soups. Lovely pictures! Happy New Year, Annie! May the new year brings you everything you have ever wished for and more! I love this and make it often. My oven has just died and no one will come out for a week to look at it, arrgh, everything will go to waste. I haven't had this since I was 16 and my first boyfriend took me to meet his parents. Here's to another year of much anticipated meals. French onion soup reminds me of home. It was always a treat my Mom & Dad made for each other. Thanks for sharing I will have to make some for Mom. How divine!! The temperature here in Birmingham is dropping and I think I'll make this tomorrow for lunch! M.